It’s another Fashion Friday and I’m keeping it simple with a little black and white ensemble. I like keeping the classic pieces nearby because they are always being used for quick trips and simple errands day. Being a mom, comfort will always prevail over fashion but as much as I want to be in Yoga pants every single day, I still want to try the newest fashions trends of this year. For today I decided to wear my jogger jeans, I wasn’t so sure that I can pull this off. Jogger jeans were made for teenagers and their millennial style, but being a millennial mother I decided to try it out. Wearing sweat pants in my generation was a thing because of the famous jogging pants and jacket combination that all 90’s kid went through so wearing jogging pants outside of the gym was not something new to me. This comfortable look brings back memories of my childhood where we would play all day in comfy outfits and not worry about fashion styles at all! Jogger Pants- got this comfortable pair from Uniqlo. They have a variety of colors and I love this black jogger pants which is very slimming yet I can move freely in. 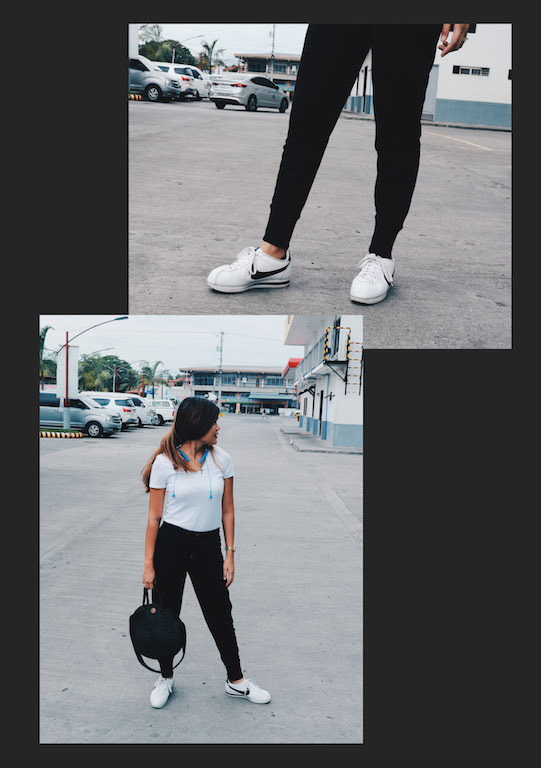 There are numerous ways to wear jogger pants but my favorite is pairing it with a simple top that is tucked in so my legs will look longer. Shoes- comfort is the key, and what is comfort without a good pair of sneakers. I’ve gone through so many sneakers ever since I’ve became a mother but this one is one of my favorites. 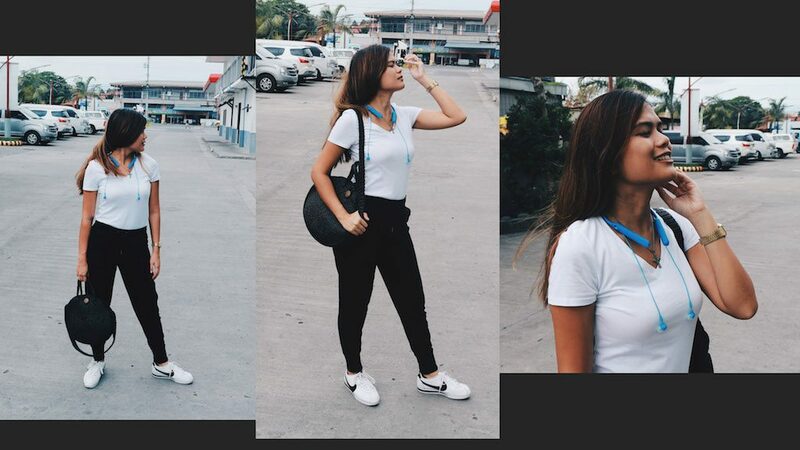 This black and white Nike Cortes is a staple in every 90’s kid’s closet. This was famous back in the day and it had a great comeback with new designs and colors. White shirt- I can go on and on with how the white shirt is a must have in anyone’s closet but it all comes down to which brand has the most comfortable fabric for your everyday use. I’ve tried a lot of brands, but one brand that I keep coming back to for my plain shirts is Giordano. Not only that it is inexpensive, Giordano has a wide range colors to choose from. 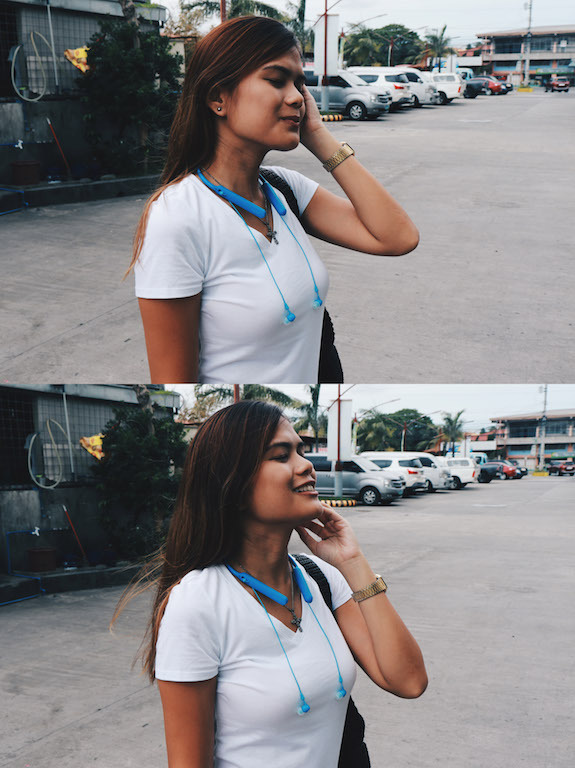 Accessories- A simple cross necklace that my mom got from Macy’s gave a little girly impact to my ordinary outfit. Earphones- my new favorite bluetooth earphones from Sony will always be in my bag if not around my neck. The pop of color can be paired with any outfit and I love how easy it is to use! I can bring out my phone and watch Netflix in peace while stuck in traffic without having to worry about tangled up earphones in my bag. 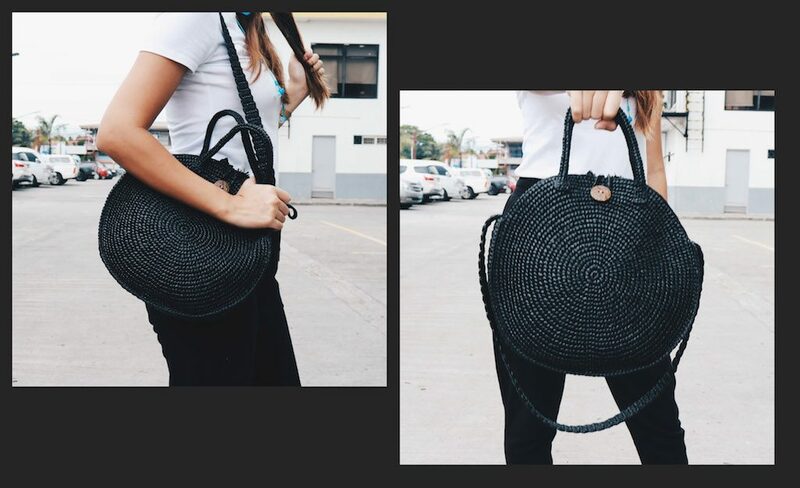 Bag- my bag was personally designed by my mother with our joint business called Davao AnMari Handmades. This bag is made out of plastic twines which makes it waterproof and soft for carrying around. 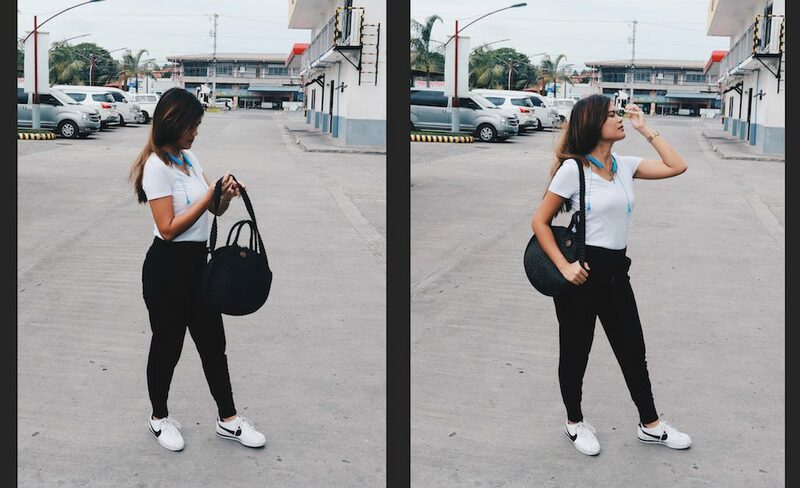 This black Horton bag is one of my favorite bags in our collection because the design is trendy yet simple, and the size is perfect for what I need to bring along. The short strap can transform this bag from a hand bag to a shoulder bag and the small wooden button gives it a fresh and natural look. That’s it for today’s Fashion Friday! I hope you enjoyed reading about today’s blog! See you next Friday for another Fashion Friday Series! Ciao!